A woman’s natural, high quality egg is produced for retrieval and in vitro fertilization through our Natural Cycle IVF™ treatment. 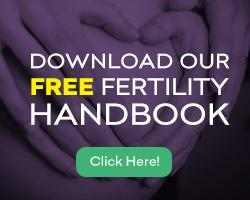 Look: This holistic IVF protocol offers our patients the opportunity to avoid the health risks and cost of high dosages of fertility medications – as well as the trepidation and pain of daily injections. Bottom Line: The Natural Cycle IVF™ is almost completely drug-free – compared to Conventional IVF and Mini-IVF™. A woman’s body may need only a little coaxing to achieve a pregnancy with her one natural, high quality egg produced during a monthly menstrual cycle. A woman’s natural egg is the very best she can produce – without the need for numerous, costly, painful, self-administered fertility medication injections. As a woman’s natural cycle begins, the doctor will monitor the growth of her one good egg through ultrasound imaging and blood tests. Even though fertility medications are not prescribed, the pregnancy success rate for Natural Cycle IVF™ rivals those of Conventional IVF and Mini-IVF™. The personal attention received by the fertility care team at New Hope provides every patient with the support needed to conceive a baby through Natural Cycle IVF™. It is important to work with a fertility care team having the experience required to design a customized Natural Cycle IVF™ treatment protocol meeting your personal needs. To schedule your initial consultation with one of the world renowned Natural Cycle IVF™ specialists at New Hope Fertility Center, click the icon below – or – call 917.525.5496.